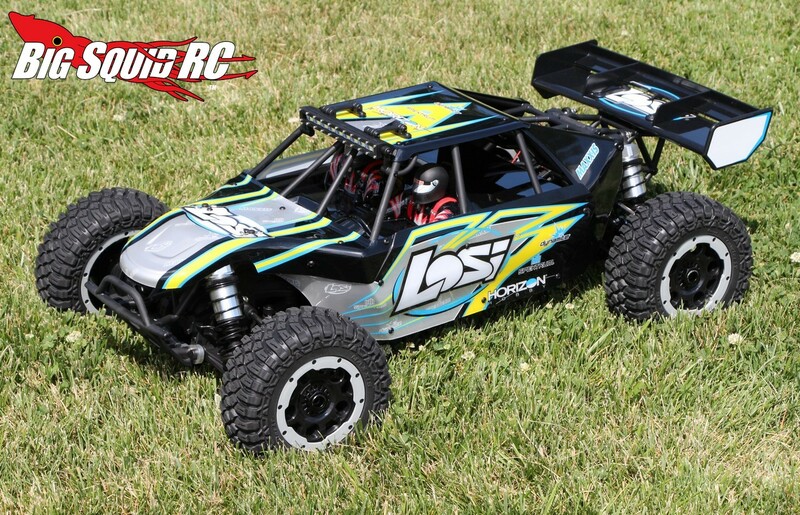 Unboxing The Losi Desert Buggy XL-E « Big Squid RC – RC Car and Truck News, Reviews, Videos, and More! 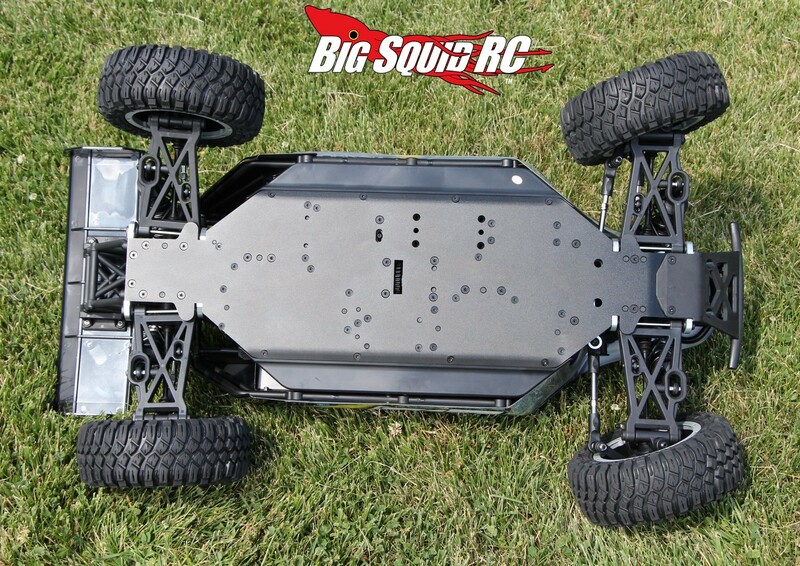 There are big, gnarly bash machines, then there are vehicles like the 1/5 Losi Desert Buggy XL-E. 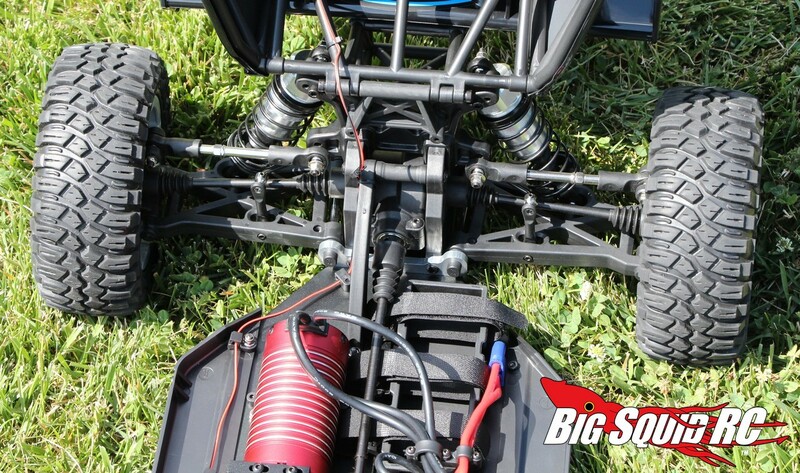 The XL-E is an enormous buggy designed from the ground up to deliver intense amounts of fun at your local bash spot. 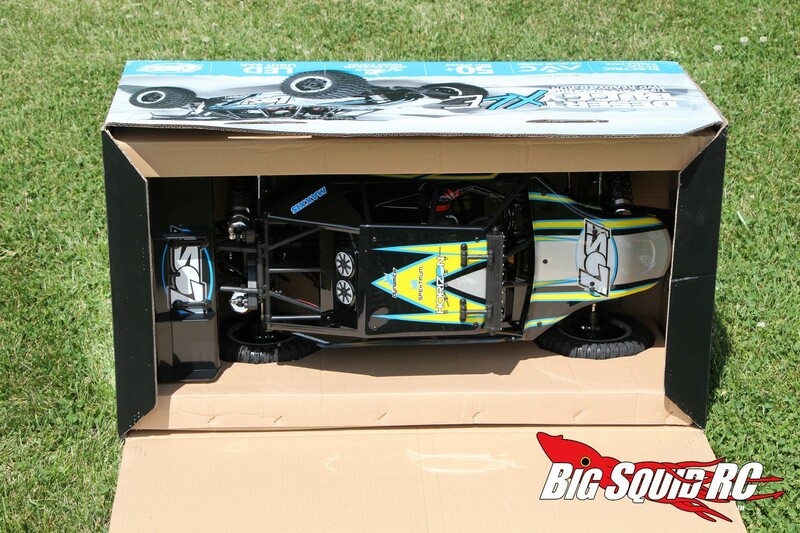 While we are finishing up our review, we are now posting up some unboxing pictures for you to have a look at. 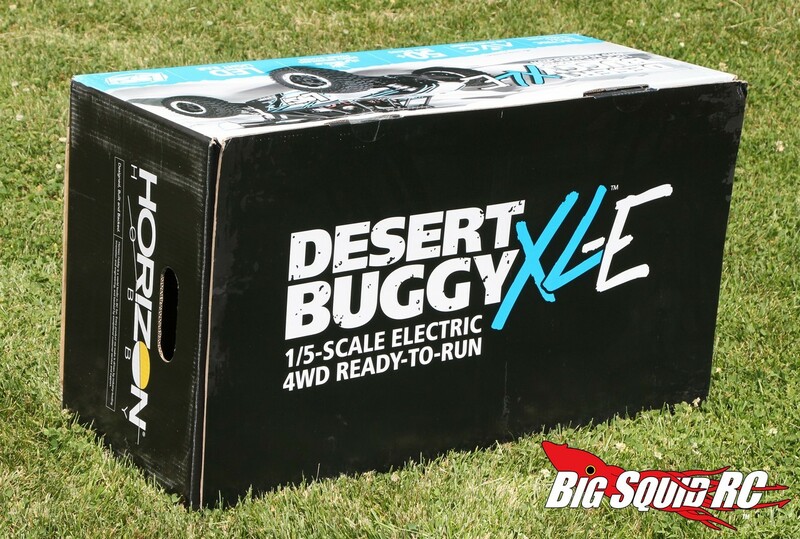 Needless to say, the XL-E comes in a giant box that easily fills even a mid-sized car’s trunk. Once open, you can see the buggy with its vibrant paint scheme gleaming up at you. 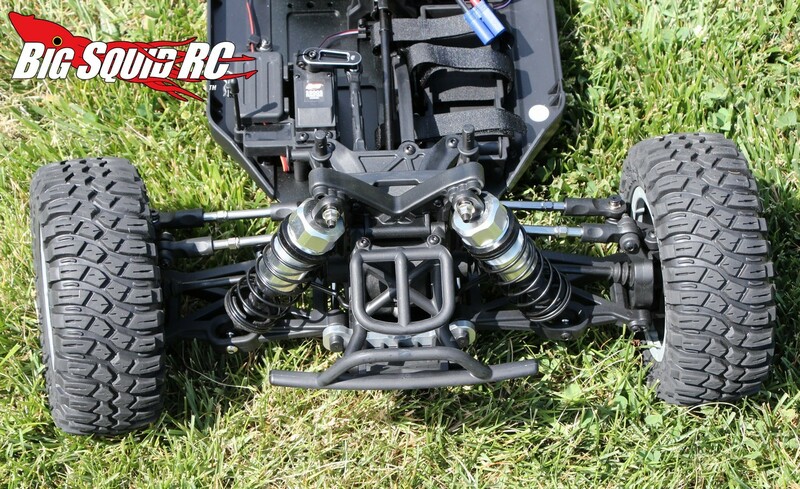 After pulling the buggy out of the box, then you’ll find the Spektrum 2.4Ghz transmitter that is equipped with AVC electronic stability control. 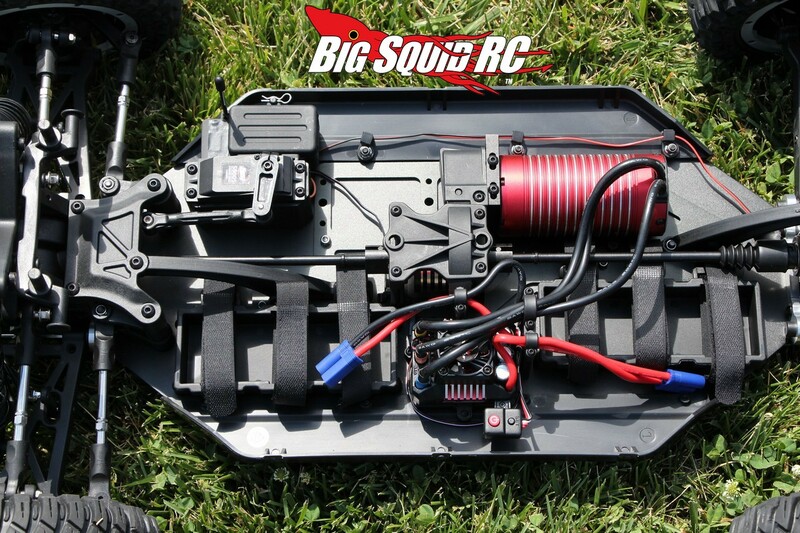 With an 8S capable, 800kV brushless system, the XL-E has the power you need for clearing big jumps, or for making speed runs. 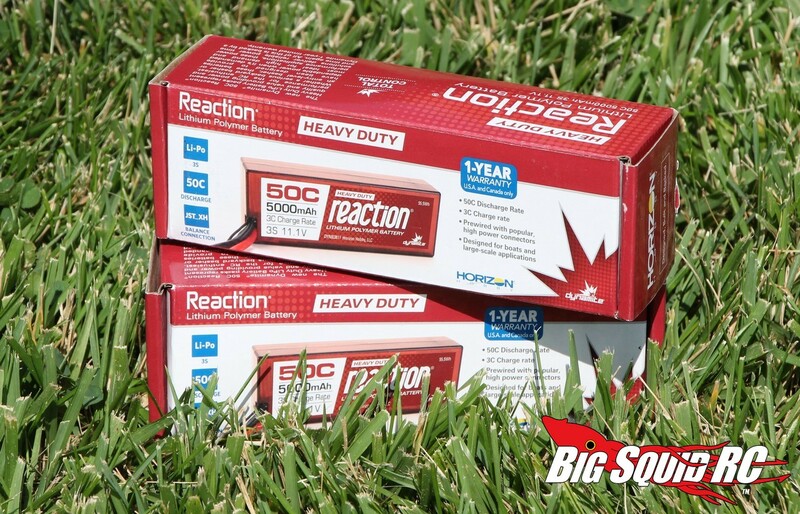 Also pictured below are a pair of Dynamite Reaction 5000mAh LiPo batteries. 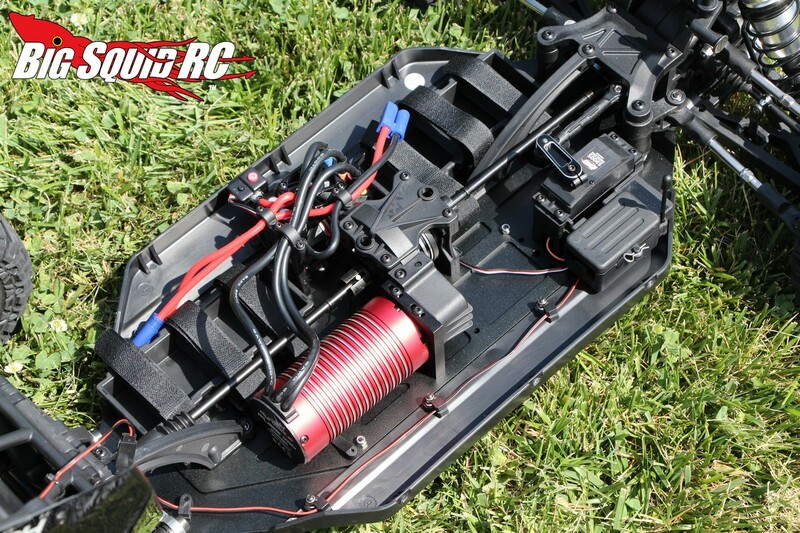 These are not included with the buggy but are what we have been using to power the massive beast. 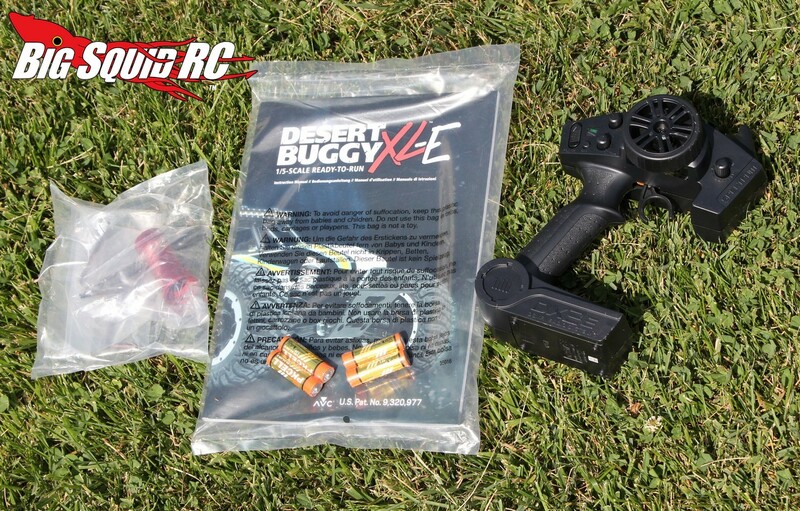 Our full review is a few weeks from going live, until then we hope you enjoy the unboxing pictures shown below. 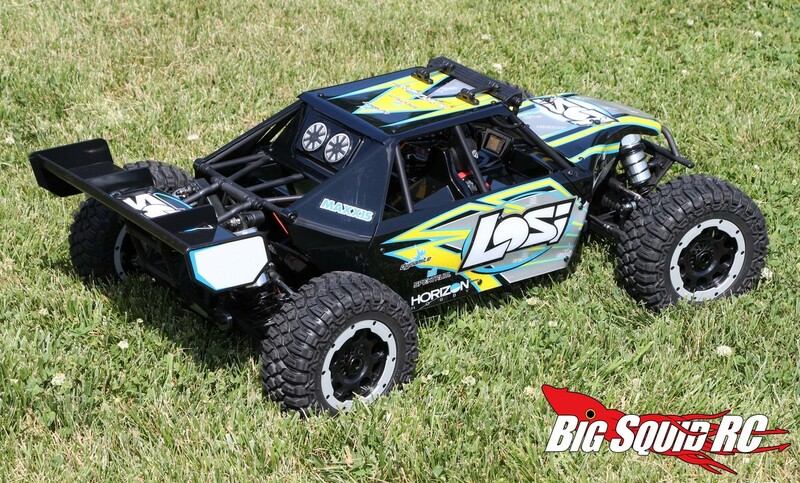 You can get full details on the XL-E over on the official Losi Website, or you can give This Link a click for more Losi news on Big Squid.